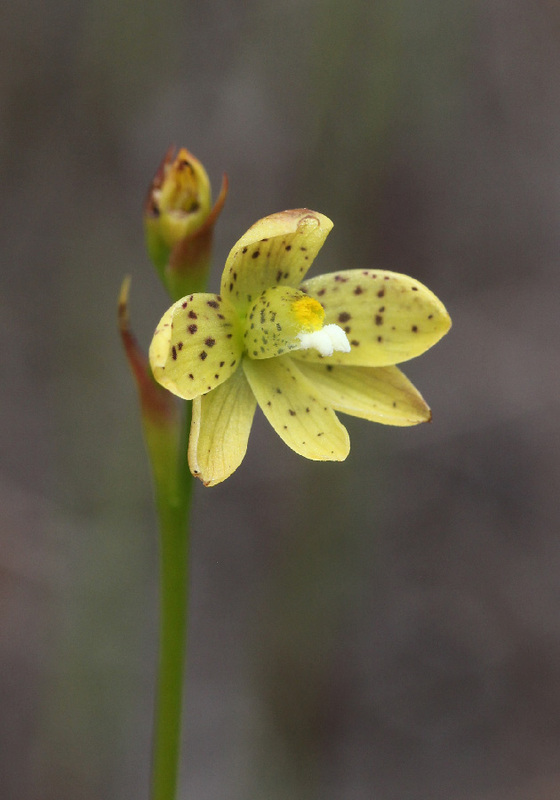 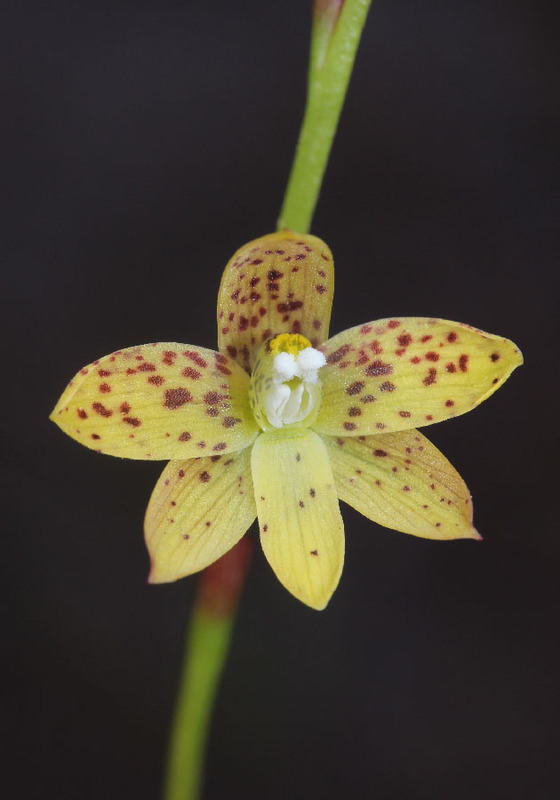 The Tiger Orchid is somewhat wrongly named, as it is spotted, rather than striped. 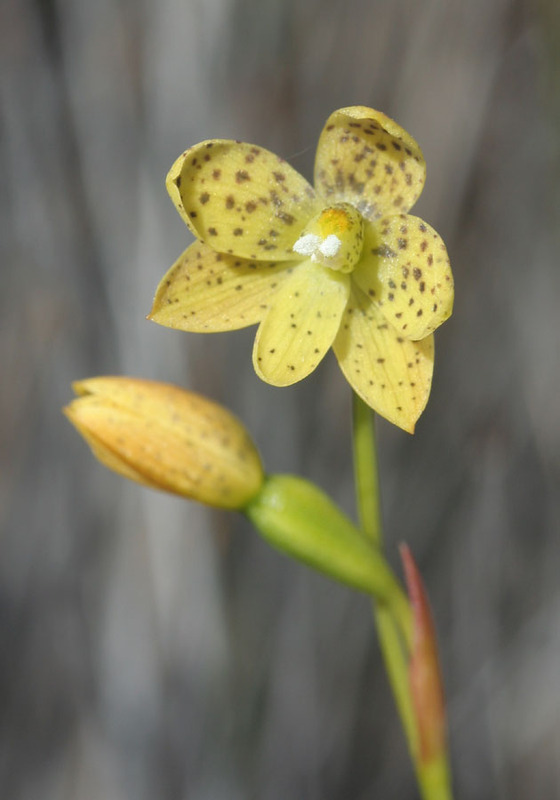 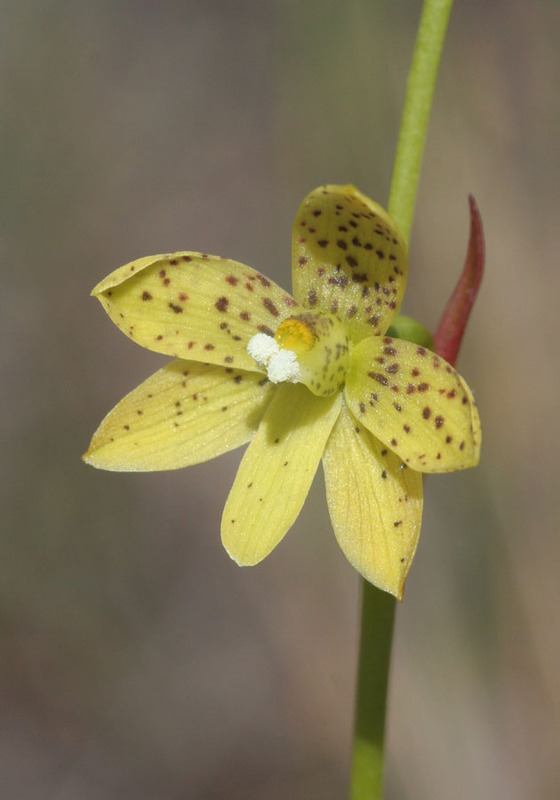 It is one of the last species of Thelymitra to flower, starting in late November. 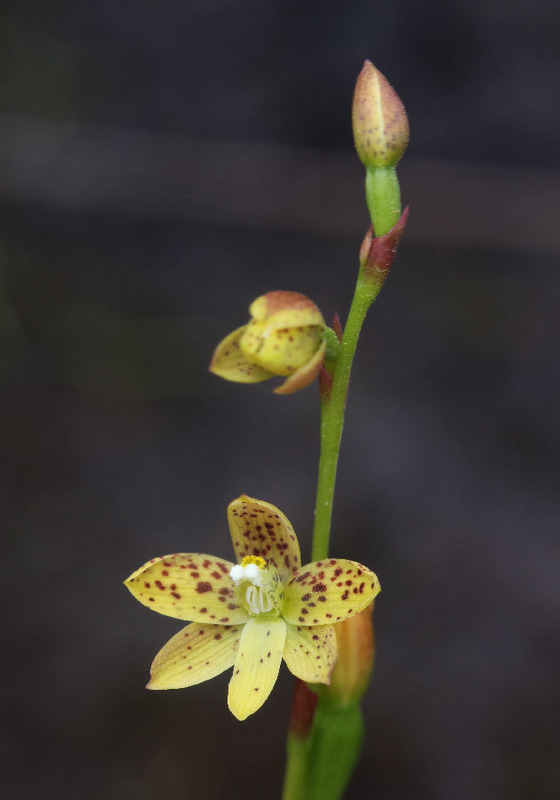 Each plant has up to a dozen tiny flowers on stems up to 50cm tall. 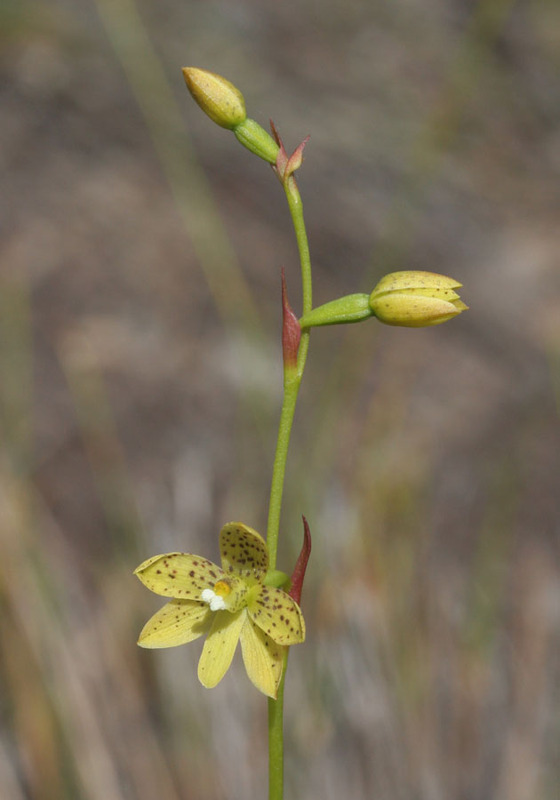 The flowers are 1-1.5cm long and only open on very hot days. 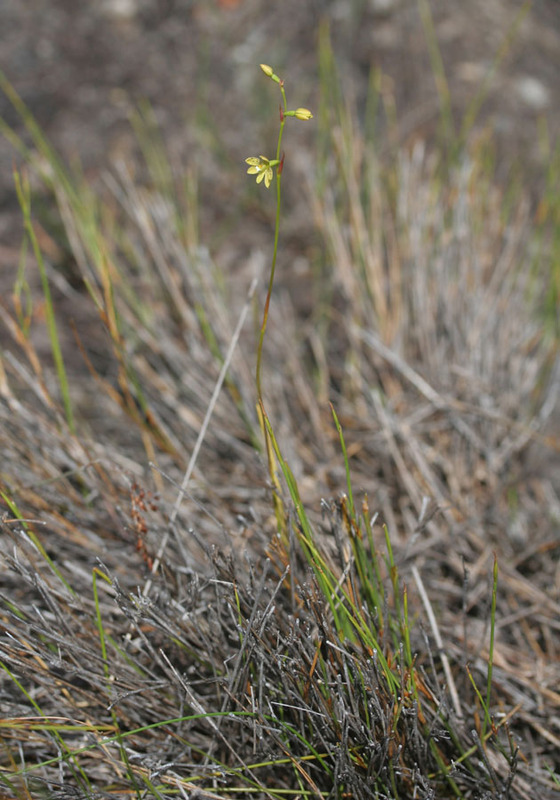 The plants are found in swampy areas, growing among reeds.